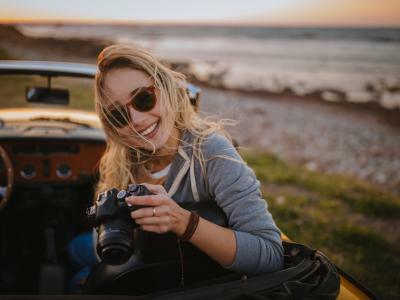 So that means that if you want to add videography to your suite of offerings, you'll need to go back to basics and learn how to use your camera effectively to create breathtaking videos. 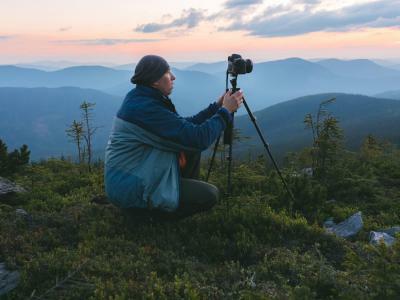 It makes sense, too, given that video is becoming an ever-more-popular medium and clients will no doubt demand that video be part of their photography experience. 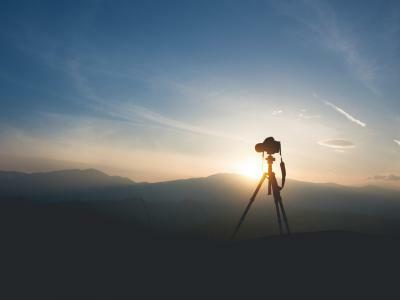 That being the case, here's a few tips for making the move from photography to videography. As discussed in this article, the most common frame rates in North America are 24, 30, and 60 fps. In Europe and Australia, however, 25 and 50 fps are most common. If you want a beautifully smooth and cinematic look, 24 or 25 fps is where to be. Most Hollywood movies are shot at 24 fps, just for comparison's sake, so shooting at the same frame rate will generate that movie-like feel. However, there is a time and a place for some slow motion action, and to do that, 60 fps is the best choice. Framing up scenes with slow motion is a great way to give your videos an interesting look while also adding some variety to the final video as well. 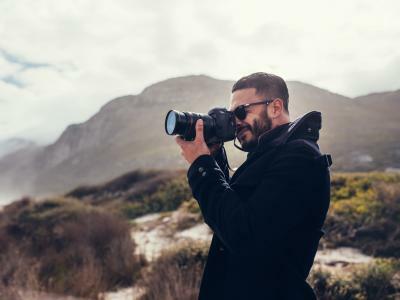 One of the most common photography tricks that people use to get more creative photos is to shoot with a wide aperture to get a shallow depth of field. And while that's a great idea for getting beautiful results when shooting still photos, it doesn't exactly work when shooting video. First, many videos are created using manual focus, not autofocus. When you use a wide aperture and have a very shallow depth of field, using manual focus becomes more and more difficult. Secondly, when shooting video, both you and your subjects will likely be on the move. That being the case, manual focusing becomes even more difficult, especially if you're shooting wide-open. So, instead of going directly for f/1.2 or f/1.4, opt for something that gives you a touch more depth of field, like f/2.8-f/5.6. Doing so will still give you a gorgeous look but will also make focusing loads easier. When shooting still photos, it's relatively easy to get the ideal shot when you fire off a few dozen frames at a given time. But movement and action are two of the most important elements of a video, and that's something that you can't really achieve with one video sequence. Instead, it's important to lead the viewer from one scene to the next with sequences that help carry them along from multiple perspectives. That means recreating the same scene over and over again, but with different camera angles and views to create a more complete picture of what's going on in that moment. The trick is to find at least three different angles or perspectives or use three different focal lengths to create unique perspectives that make the transition from one scene to the next rich in detail and meaning. You can learn more about sequencing and other videography tricks in the video above by Mango Street. While all of the above elements are crucial in creating beautiful videos for your clients, it's important not to neglect your ability to put all of that together into a gorgeous product. For years, I used iMovie (I know...I know...) to create videos because I thought it was the simplest way to create videos that looked pretty good. But then I found a program called Kizoa and realized how much easier videography could be. Kizoa is an online video maker with hundreds of different options for creating gorgeous, high-quality, custom videos for your clients. Not only does it have an array of special effects, text options, transitions, and music, but it even provides you with pre-made templates that help you create professional-looking videos right out of the box. I know it sounds too good to be true, but trust me - it's not! On top of that, Kizoa makes it quick, easy, and simple to share videos too. Whether you want to burn your video to a DVD to give to a client or put it on social media, Kizoa makes the process painless. 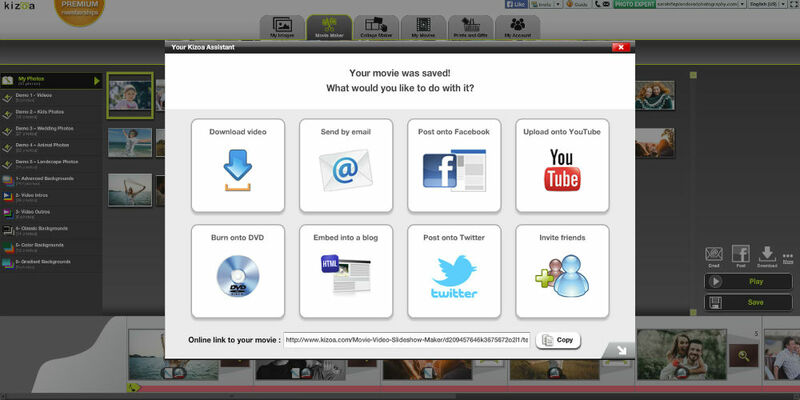 You can also email your videos or download them in whatever format you choose, including MP4, MOV, GIF, AVI, or MPEG2. 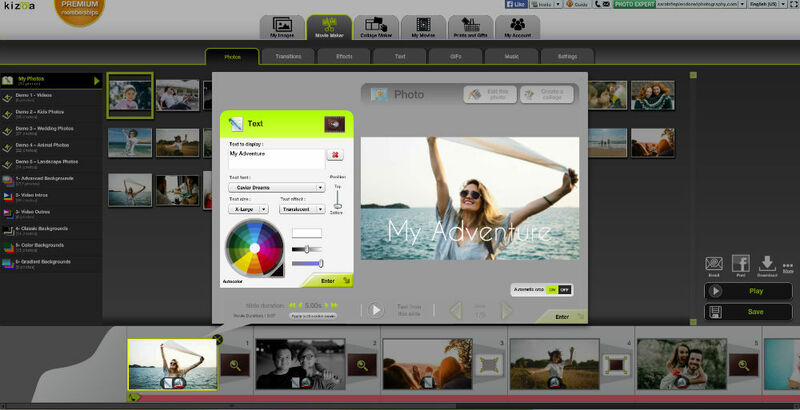 Kizoa even gives you secure online cloud storage so you can keep the videos you create in a safe environment. 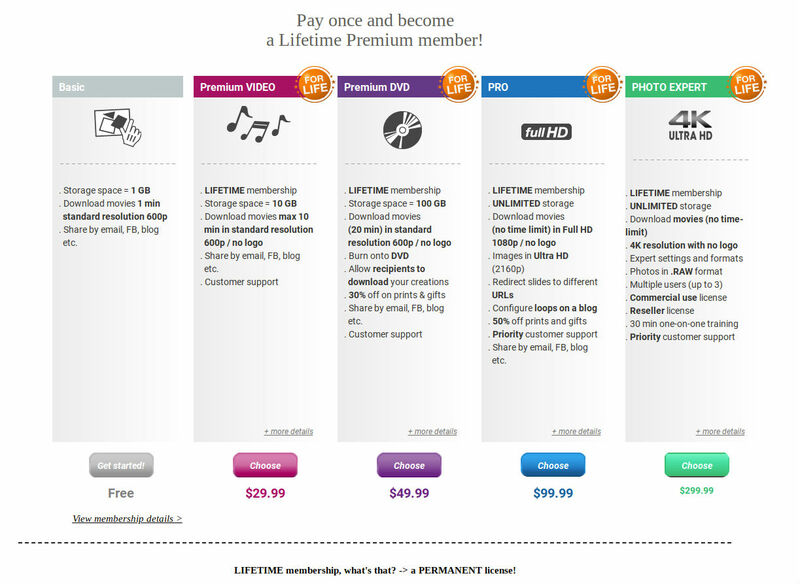 Even though it's a feature-packed program with tons of benefits, it starts at an incredibly economical $30. And that's not a monthly fee, either...you pay $30 one time, and have access to Kizoa for life. 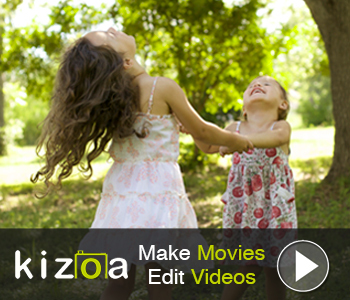 Kizoa even has a highly functional - and free - iOS app so you can create awesome videos on-the-go, too. It sports a community of 15 million users worldwide that have realized their dreams of making outstanding-looking videos! In other words, Kizoa has the tools you need to create videos, the support system in place to help you perfect the videos you create, and it's budget-friendly as well. If you're looking to expand your services to include videography, Kizoa is the tool you need to make that happen!